Hitting a Tennis Ball or Playing Tennis? In the seventh year into my career coaching at the State University of New York at Oneonta, I have critically observed the trends of younger people between the ages of 17-22, both as a coach and classroom lecturer. This age (17-22) is classified as “Generation Z,” a generation that is digitally proficient, wants instant gratification, and from what I see as an educator, having instantaneous satisfaction is almost a need. The headphones are connected to their iPhones for hours at a time while staring at their phone’s screen for just as long. For some, the only exercise they get is the fingers typing on their cellular device. When I grew up, color televisions were a relatively new invention and touch tone phones were phenomena. As young people in the prior generation, we were often outside entertaining ourselves in other ways, most notably, playing ball in the street. I am now a generation removed from these folks, but what a difference in mentality we have. I really have to coach myself and adapt so I can better understand and relate to the Generation Z’ers. Tennis, though, has also benefited in so many ways from this generation and its new technology. We can now micro-examine shots and stroke production down to the most infinitesimal detail, and analyze stroke production right on the practice court within seconds The pros can challenge a line call and get an instant answer for the world to see with digital perfection and can determine if the linesperson was right or wrong on the spot. Over the last two-plus decades, running concurrently to the technology advancement the game of tennis evolved from Eastern forehands hitting a relatively flat ball to the Semi-Western/Full-Western Grips and the heavy topspin craze we live in now. To supplement this, racket manufacturers sell equipment with space age materials, helping to augment the heavy topspin era. Academies in New York and all over the country teach players to emulate the professionals and work the point until a short ball comes … run around your backhand and rip winners. Collegiate tennis is a world where you need intelligence, must develop a better tennis IQ, be coach-able and play consistently. Those low percentage winner attempts that a player was hitting in high school or at USTA tournaments is now not working, and balls are being returned with consistency and quality from more experienced collegians. The new freshmen players, in particular, now wonder why they did not win the point outright and how dare their opponent hit the ball back like there is a sense of entitlement. A “Deer in the Headlight” look for many of these rookies and the need for instant gratification is now rearing its ugly head. I tell them this, “You hit tennis balls very well, but now let’s learn now how to play tennis!” The humble player listens, but the ones who know more than their coach develops a new habit … the habit of losing! Into the film room we go and I show them video of Roger Federer, Rafael Nadal and Novak Djokovic. With our female players, I show them videos of Maria Sharapova, Venus and Serena William, and others to break down their shot selection. The academies that, at times, turn their noses up at the notion of playing Division III tennis, are in for a reality check. Those who are successful playing collegiate tennis are those who are humble, listen, learn consistency, display great poise and body language and learn to win the little moments. You cannot be self-absorbed while playing on a team and now have to practice attaining high levels of focus. They learn patience and shot selection, going for winners at only the most opportune times and gaining an advantage by having a greater margin of error, not flirting with the sidelines. An incremental byproduct is that this strategy can be used in the lecture hall. Working harder, studying longer and preparing for exams taps into a similar skill set for academic achievement and greatness. The lost art of doubles is disproportionately not given the time needed in academies to develop the art of teamwork. 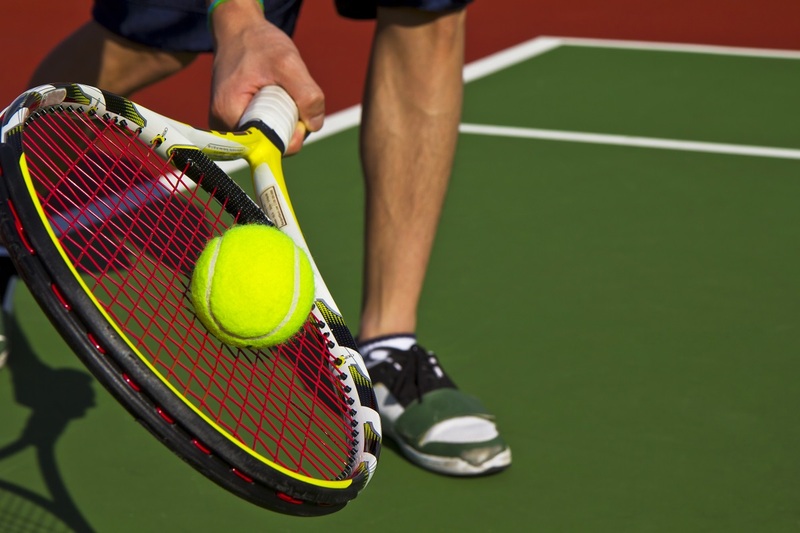 In collegiate tennis, teamwork is synonymous to attainment as you are often asked to play both doubles and singles while attentively supporting your teammates who are also on the court competing. It is almost as if I have to start from scratch teaching students how to play TENNIS/doubles and implement the notion of playing on a team is not just about yourself. NO! The right shot is not going for the doubles alley while standing three yards behind the baseline. The choreographing and development of a doubles point is an art form that most academies spend little time on it. Just the cerebral nature of the doubles game will later help singles players become better critical thinkers. Teamwork will help the player become better human beings and more valuable when they hit the workforce because playing at Wimbledon will not be an option. I am pleading with coaches and academies to stop teaching students to just hit tennis balls … teach them to play tennis. Most collegiate coaches who attend conventions, recruiting showcases and meetings, discuss this trend. I thought this was just what I was observing, but it’s a more common trend amongst the collegiate tennis community than you would possibly think. It’s very entertaining and exciting to hit winners when it works … but only at the right times, in the right situations, against the right opponent. We play tennis in college at a high level … we just do not hit tennis balls as there are many other skills that you need to be successful with teamwork probably leading the way. Please, leave the power at home and bring consistency to the court, don’t just hit tennis balls and let’s start playing some tennis and have an open mind. I like your chances of success a lot sooner.